Insurers may use your personal details to determine if you're a high-risk driver. We all want our car insurance to be cheap. But it’s no surprise that it isn’t exactly up to us. It’s your insurer — or really, your insurer’s complex underwriting algorithm — that determines how high your rates go. And many factors that affect your rate, such as your driving history, car model and annual mileage, are logical. But did you know that personal details like your relationship status, gender and neighborhood can also affect your rate? Auto insurance pricing is all about your risk to the insurance company, or how likely you are to file a claim. Statistically, some groups of people file more claims than others. So each detail about you tells an insurer to raise or lower your rates by a certain amount. Here are some of the more surprising factors that insurers may use to set your rate. Many people assume that men pay more for car insurance because male drivers are more likely to get tickets and be in fatal accidents. And often, men, especially younger men, who are the most common drivers in fatal accidents, do pay higher premiums for car insurance. But a recent report from the Consumer Federation of America indicated that, with some companies, older men pay less than women in the same age groups in 10 cities. The study included six of the nation’s largest auto insurers and found that for men and women with perfect driving records, 40- and 60-year-old women received higher insurance quotes nearly twice as often as men. Insurers must justify their pricing practices to state regulators, in this case with data showing that women in those age groups are riskier to insure. “I would assume they have data showing this shift, but I have never seen such data,” says CFA director of insurance J. Robert Hunter, who led the study. For better or worse, insurance companies consider you less risky once you’re married because married people get in fewer accidents than singles. Even if you’ve been married before and aren’t currently, putting "single" on your car insurance application probably means a higher rate. In areas full of people — and their cars — the likelihood of colliding is higher, so insurers can justify charging higher car insurance rates in cities than in rural areas. Crimes like theft and vandalism are also more common in cities. And so is fraud, says Chris Salameh, vice president of sales at We Insure, a national insurance agency. Take, for example, a common scam Salameh describes: At a gas station someone inspects your “defective” windshield and offers to replace it for free as long as you sign a form allowing them to collect from your insurance company. The glass company can then bill the insurer for far more than the actual replacement cost, says Salameh, who says someone recently tried to pull the windshield con on him. “Schemes like these drive up rates for everyone in the long run, but it usually begins in highly concentrated areas,” adds Salameh, who has since confirmed the scammers’ process with insurance carriers. 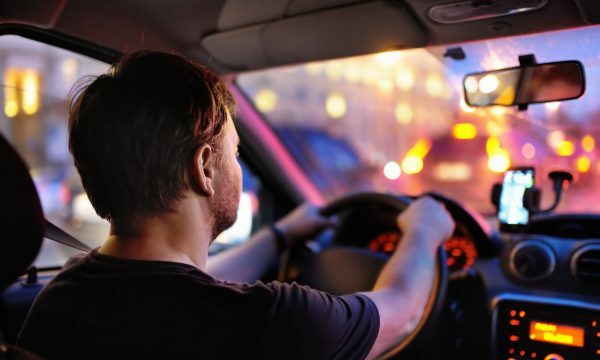 Having been insured by a nonstandard insurer, one that typically covers high-risk drivers, can result in higher premiums at your next company, according to another CFA study. Some companies quoted car insurance rates 9% to 15% higher for drivers with perfect records if they were switching from a nonstandard insurer rather than a large insurer, the study found. Anyone can purchase insurance from a nonstandard insurance company, but good drivers and those with good credit can generally get better rates elsewhere. However, insurers likely won’t try to find out why drivers previously chose a nonstandard insurer and may instead assume these drivers pose a higher risk. Good things come to those with good credit — including lower auto insurance rates. Meanwhile, insurers can jack up your insurance rates if you have bad credit, unless you live in California, Hawaii or Massachusetts, where the practice is prohibited. In the 47 states where it’s legal, having poor credit can raise your rates even more than causing an accident, according to NerdWallet analysis. Though insurance pricing is complex, and, to some extent, out of your control, you still have the power to shop around to ensure you get the lowest rate possible. Compare car insurance quotes from several companies before choosing one.